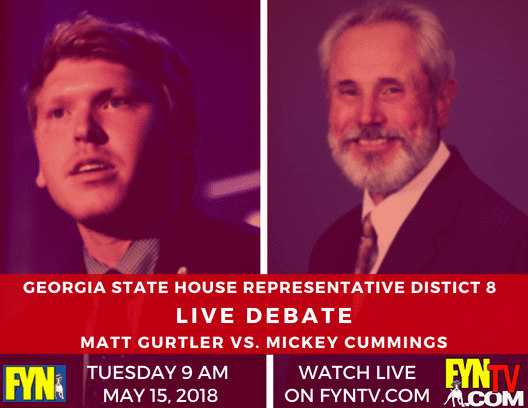 Georgia State House Representative District 8 Debate with the Incumbent Matt Gurtler vs. Candidate Mickey Cummings. Join us on Good Morning from the Office every weekday starting at 8AM! We will be featuring Fetch Your News FYNTV.com TV personality BKP and his political opinion, and anything goes! Have a question, comment, or want to be on the show? Call or text 706-889-9700.